The Hevreh Ensemble is performing this weekend in West Cornwall. The event is a fundraiser for the group’s upcoming trip to Poland. 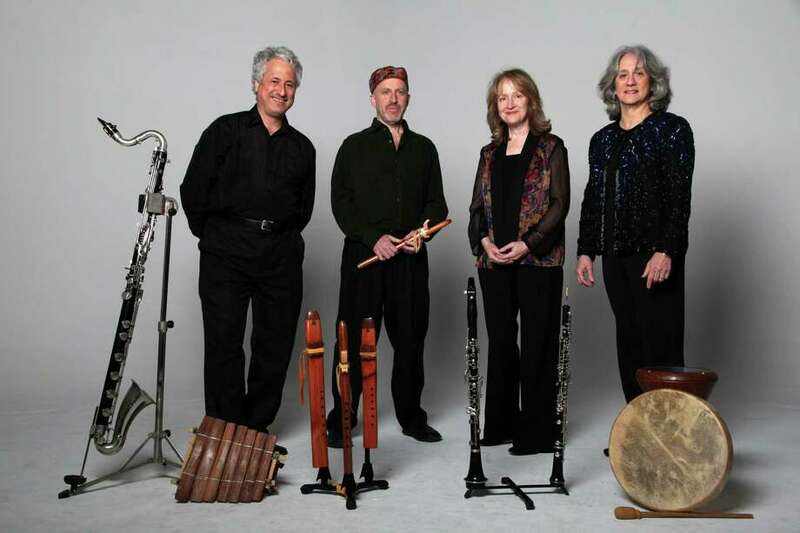 The Hevreh Ensemble was formed in 2004, by Oboist Judith Dansker. Since that time, the ensemble has performed throughout the United States and Europe at such places as the Newport Chamber Music Festival, The Northampton Center for the Arts, Harlem School of the Arts, The Hudson River Museum, Synagogue for The Arts- NYC, Hofstra University- Emily Lowe Art Gallery,DROM/NYC, The National Yiddish Book Center and St. Marks in the Bowery, NYC. The ensemble recently returned from an Eastern European tour, where members presented concerts in the Czech Republic and Poland and were invited to perform in a Gala performance for the Spanish Synagogue in Prague. A new CD: “Between Worlds” was released in July 2012. The group traveled to Germany where they presented concerts in Berlin, Bonn and Hamburg and also in The Netherlands and Austria. The members of the group have been honored and affiliated with organizations including The Juilliard School of Music, Manhattan School of Music, The Blossom Music Festival among many others and have performed with ensembles such as: The Galliard Woodwind Quintet, American Symphony Orchestra, New York Baroque Consort, Trio Sonata, New York Kammermusiker, and at such locations as Alice Tully Hall, ( Lincoln Center), Carnegie Recital Hall, the Library of Congress the Frick Museum and the Philips Collection in Washington, DC. They have recorded for Opus One, CRI Records and Gasparo Records.